Admiral Sir John Jellicoe, commander of the Grand Fleet at the Battle of Jutland, aboard the battleship HMS Iron Duke. D'après les vues originales de 'l'Angleterre prête à frapper' prises avec l'autorisation du Gouvernment Britainnique et reproduites avec l'approbation gracieuse de leurs Majestés le roi George et la reine Marie. 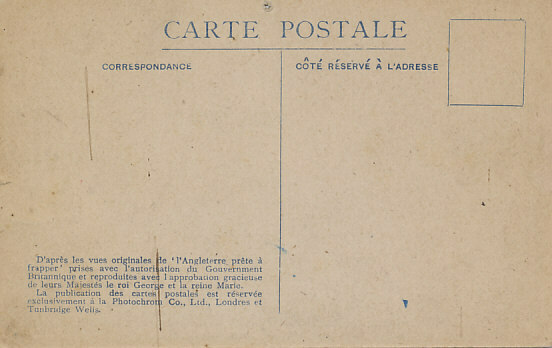 La publication des cartes postales est réservée exclusivement à la Photochrom Co., Ltd., Londres et Tunbridge Wells. Based on the original views 'Britain ready to strike' taken with permission of the British Government and reproduced with the consent of their gracious Majesties King George and Queen Mary. 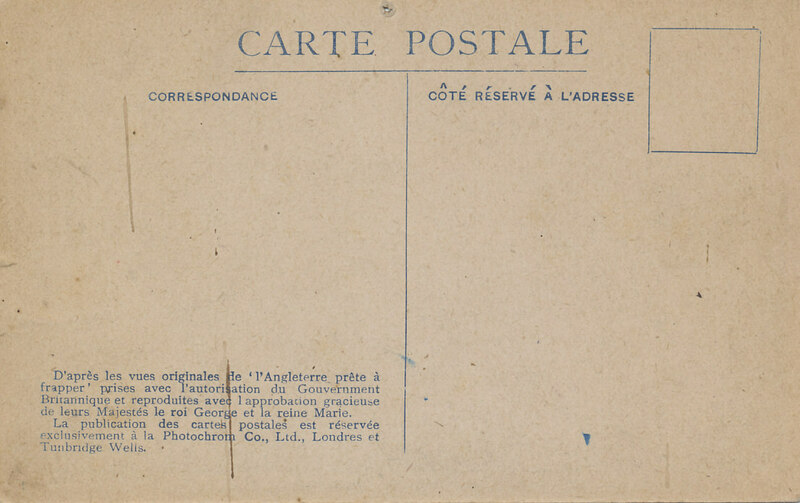 The publication of the postcards is reserved exclusively for Photochrom Co., Ltd., London and Tunbridge Wells. The British Grand Fleet, Commanded by Admiral Jellicoe, consisted, at the Battle of Jutland on May 31, 1916, of thirty-seven battleships and battle cruisers, eight armored cruisers, twenty six light cruisers, and eighty destroyers. 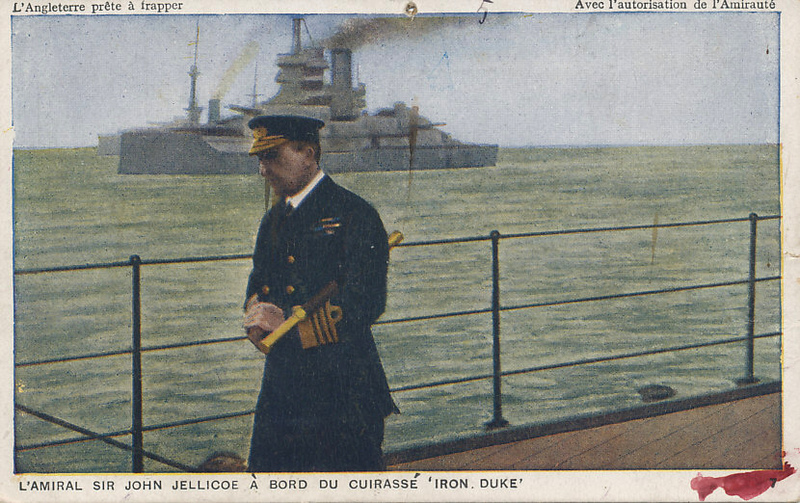 It consisted of two fleets, the Battle Fleet, commanded by Jellicoe, and the Battle Cruiser Fleet, under Admiral David Beatty. Grand Fleet is a fleet in Royal Navy.